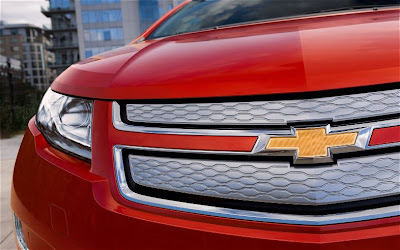 Our 2012 Automobile of the Year didnt earn a spot on our 2012 All-Stars list, but the Chevy Volts powertrain is still a massively impressive piece of engineering. 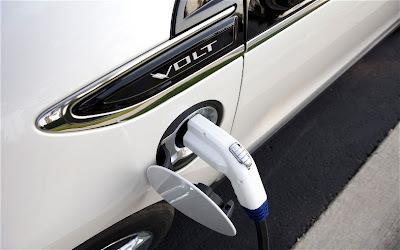 The Volts key trick is a seamless transition between running on electricity and gasoline. 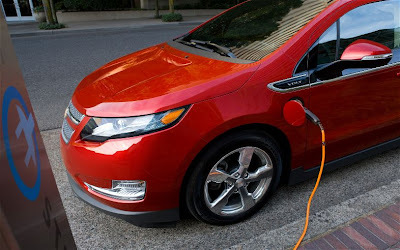 The gas/electric drivetrain allows for roughly 35 miles of driving range using electricity stored in a large lithium-ion battery before firing up a small, four-cylinder gas engine for another 300 miles of range. 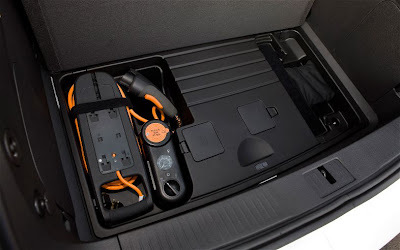 The dual power sources offer all of the incentives of driving an electric vehicle -- charging at home, cheap energy, and the potential for reduced emissions -- while eliminating the inconvenience of limited range and slow charging times that afflict pure electric vehicles. 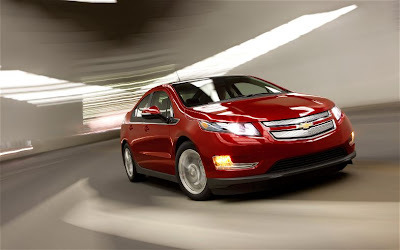 The 2012 Chevrolet Volt is a midsize four-door hatchback sedan with seating for four. Standard features include 17-inch alloy wheels, automatic headlights, heated mirrors, keyless ignition/entry, remote ignition, automatic climate control, cruise control, an auto-dimming rearview mirror, six-way manual front seats, a tilt-and-telescoping steering wheel, cloth upholstery, Bluetooth, OnStar (with turn-by-turn navigation), MyLink (includes Bluetooth streaming audio, voice control for phone and audio functions and enhanced smartphone integration) and a six-speaker sound system with a CD player, auxiliary audio jack, iPod/USB interface and a touchscreen. 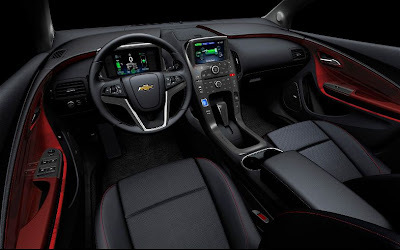 The Premium Trim package adds leather upholstery, a leather-wrapped steering wheel and heated front seats. The Rear Camera and Park Assist package adds a rearview camera and front and rear parking sensors. Other options include a navigation system (with voice controls, real-time traffic, DVD player and 30GB of digital music storage) and a Bose audio speaker upgrade. 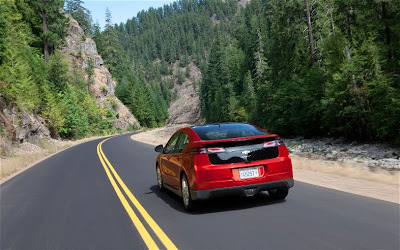 Safety features on the 2012 Chevy Volt include antilock brakes, stability control, front side airbags, front knee airbags and full-length side curtain airbags. 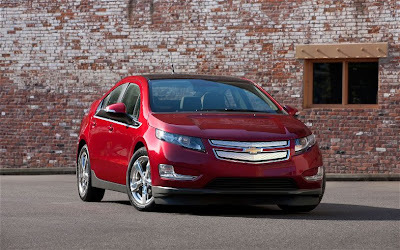 In Edmunds brake testing, the Volt came to a stop in a respectable 124 feet.